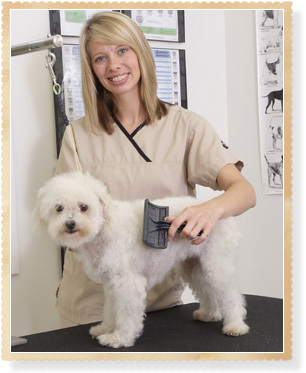 Your pet will look and feel great after a grooming session at the Yancey Clinic of Veterinary Medicine! Professional grooming services are provided by Summer Sansotta, a groomer with many years performing grooms for dogs and cats of all breeds. Summer provides full-service grooming sessions for all breeds of dogs and cats. Grooming appointments are available Tuesday through Friday during regular hospital hours. Grooming sessions are by appointment only. Please call us at (740) 386-6633 to schedule your pet's grooming appointment.